DESIRABLE AUGUSTA ROAD AREA, AUGUSTA CIRCLE SCHOOLS & TWO TOTALLY RENOVATED BATHROOMS! This Beautiful & Charming historic home is waiting on you! 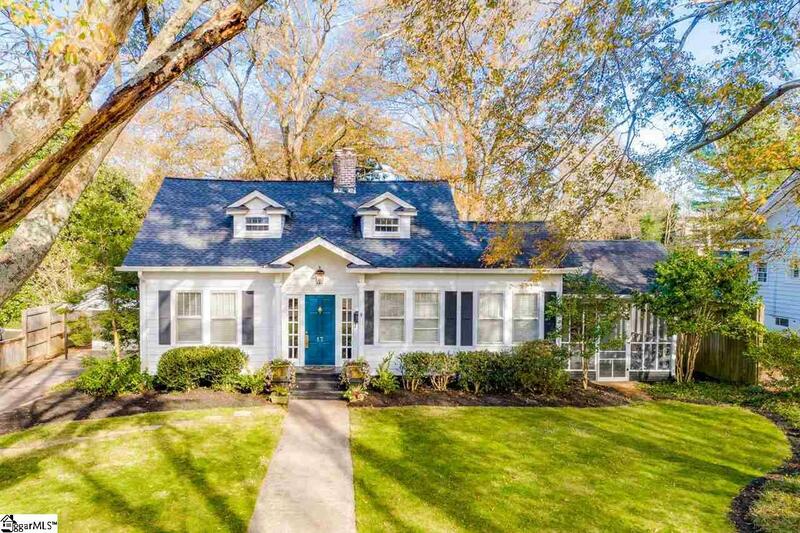 Right in the Augusta circle school district, this house has the charm and tons of recent updates. Owners improvements include refinished original hardwoods, completely renovated bathrooms, new light fixtures, deck additions, updated electrical, new garage motor, garage updates, fresh paint throughout, landscaping revisions to show off the yard and SO much more! The main level offers a perfect floor plan for entertaining with a huge Den, open kitchen and eat-in or Keeping Room area, Office and Dining Room! The Master Bedroom is also located on the main level with the perfect nursery or 2nd main level bedroom located right beside it. Sellers updated and expanded the main floor Bathroom (removing closet from nursery) but there's great space in this room for kids or a main floor playroom! Upstairs, you'll find three bedrooms with the 2nd completely renovated bathroom! The choices on these bathrooms were exactly what you'd want to pick! Outdoor features are endless in this home! You have an updated Screened in porch off the Den, Covered Patio with a brick patio paver area as well as a massive Deck! The deck just had a face lift and additional stairs were added to reach your garage! Entertaining would be a dream here! Almost $100k in was spent by the sellers to make this home MOVE IN READY! The tree lined street adds the perfect touch to your new "home"! Shopping & Dining area at your fingertips and GHS is just a few minutes away!